Iririki Island Resort & Spa provides guests the opportunity to personalise and enhance their stay by offering extras that can be added to treat guests staying at the resort. 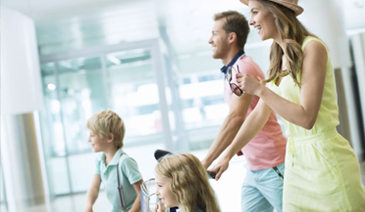 For your convenience, book & pre-pay your airport transfers to ensure a hotel representative will be waiting for you upon arrival. Private transfers are also available, please email hello@iririki.com for pricing. Why not add an 'Eat & Drink Bonus Card' to your booking, and save up to 25% on your food & beverage costs. 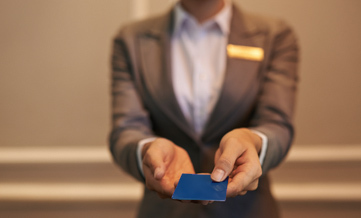 You can add a card to a new or existing booking. Card for food & beverage purchases only. Card not valid for Day Pass use. Any left-over funds cannot be refunded. Card is valid for 12 months from arrival date. Card issued on arrival, and serial number recorded. Select and pre-purchase your day trip ahead of time for quick entry to paradise. Day Guest numbers are limited, so pre-book so you don't miss out. Save precious time and pre-purchase your Day Pass today. Select your day ahead of time to ensure quick entry to paradise. Limited passes are permitted daily. Iririki Island Resort & Spa is not licenced for BYO - Consumption of BYO drinks or food in guest common areas, resort grounds, restaurants or bars is strictly prohibited & penalties for non-compliance apply. Terms & Conditions: Iririki Day Pass' redeemable value is unavailable for use during happy hour (5pm-6pm) and complete value must be redeemed within one transaction. Your Day Pass is non-redeemable for cash and non-refundable. Casino chip can only be redeemed for adult passes and upon presentation of Iririki Day Pass at Jewel Casino. Upon arrival, please present your booking confirmation receipt at reception in exchange for your Day Pass. Baby sitting services are not available to day pass visitors. Our Infinity Pool is available for in-house guests only. Add a romantic candlelit dinner for you and your significant other to enjoy from your private balcony or along the beach. Choose your 3-course meal for two from the Chef's recommendations while we work hard at ensuring that you have a romantic evening with your significant other. Alternatively, this can be set up on the beach. Please advise your balcony or beach preference when booking. 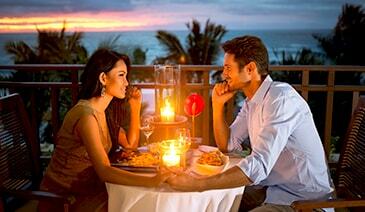 Need to add a little extra romance to your island escape, we've made it easy for you to surprise your loved one. Tuesday evenings are exciting with an array of traditional dishes served while you witness customary dance performances by Fatuna Fatuna. Prebook your Melanesian Feast Buffet for Tuesday evening online and focus on enjoying the array of traditional dishes with Kava and custom dance performances by Fatuna Fatuna, one of Vanuatu's most highly respected cultural group.Commences at 6pm. Hosted every Wednesday night, connoisseurs of fine foods join us for our wine & cheese tasting night. Enjoy a stunning sunset whilst indulging in a selection of fine cheeses and wines at our island gazebo, perched on the hilltop with idyllic water views overlooking Port Vila Bay & Ifira Island. Starts at 5:00pm. 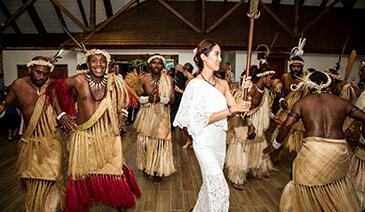 Join us Friday Nights to experience the freshest local seafood at Vanuatu’s most romantic and iconic restaurant. Friday evenings join us at Azure Restaurant for an extensive array of fresh local seafood including a cascade of prawns and oysters as well as coconut crab or lobster. 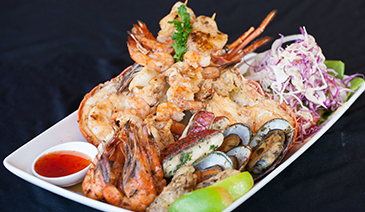 Every seafood platter is cooked on an open barbeque grill, and includes entree and delicious dessert. Join us every Saturday night on the beachfront under the stars, when we fire up the BBQ. Savour a variety of gourmet BBQ favourites; including beef steaks, sausages, chicken wings, char-grilled vegetables, accompanied by crisp salads, warm bread and our signature BBQ sauce. Sit back whilst the legendary VanuaFire group put on a fire dance show not to be missed. Starts at 6:30-7:00pm approx. Not sure what to purchase a family member or friend? Why not get them a gift voucher to redeem at any of Iririki Island Resort & Spa’s outlets. Not sure what to purchase for your friends? Why not buy a gift voucher for them to redeem at any of Iririki Island Resort's outlets - whether it be an amazing dinner or one of our incredible spa treatments. 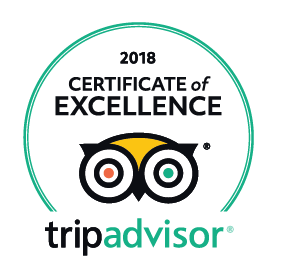 Iririki Island Resort and Spa tours are operated and hosted by us. We have our very own private air-conditioned buses, dedicated drivers and tour guide operators. Explore some of Vanuatu’s beautiful lagoons, waterfalls and beaches on our Splash Tour, or villages and plantations on our Nature tour. 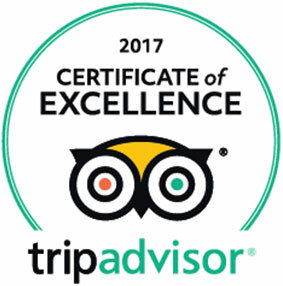 Tours run daily leaving at 8.30am and 1pm. Pick up and drop off is from our island jetty across for the island. 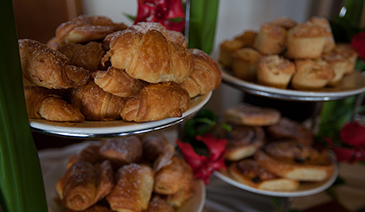 For day visitors, head straight into the assortment of pastry, an array of market fresh seasonal fruits, hot breakfast options and more by pre-purchasing your buffet breakfast online. For day visitors, pre-purchase your buffet breakfast online so you can head straight into the assortment of pastry, an array of market fresh seasonal fruits, hot breakfast options and more. Available everyday.